Bolgar (Tatar Bolğar) is a city in Russia, the administrative center of the Spassky district of Tatarstan. The population is 8.3 thousand people. 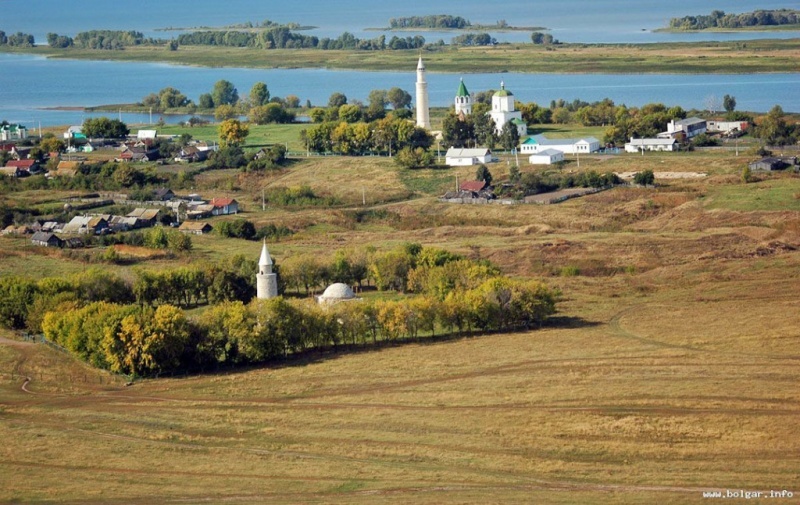 The city is located on the left bank of the Volga River, 140 km from Kazan. The history of the city starts with the village Bolgary, named after an ancient ruined city that once stood nearby. Before the revolution, it was part of the Spassky district of Kazan province, then part of the Kuibyshev region of Tatarstan. In the course of the construction of Kuibyshev Reservoir, Spassky ended up being in the flood zone. The population and the administration was moved to Bolgar, which was renamed in 1957 to Kuibyshev and become the administrative center of the Kuibyshev district of Tatarstan. In 2010, the city began construction of a tourist center with a Museum of Bread, bakeries, a mill and other tourist attractions.